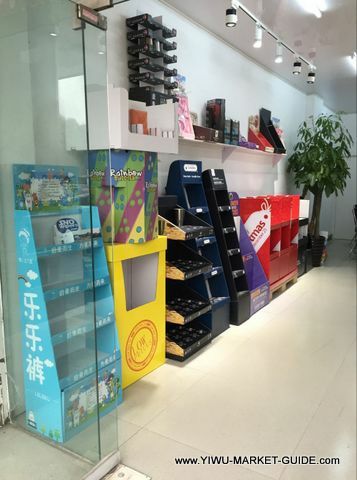 Yiwu has a dozen POP paper display suppliers. 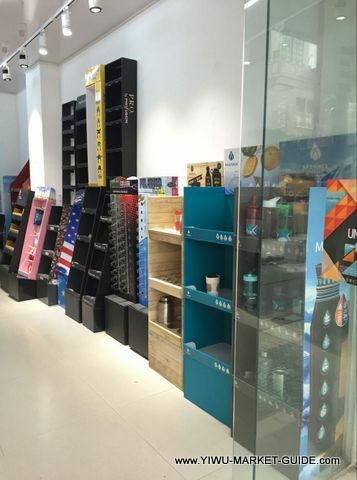 We can recommend UNI POP display as a GOOD supplier for corrugated paper POP display stand(PDQ and CDU) because of their expertise, reliability and fair price. 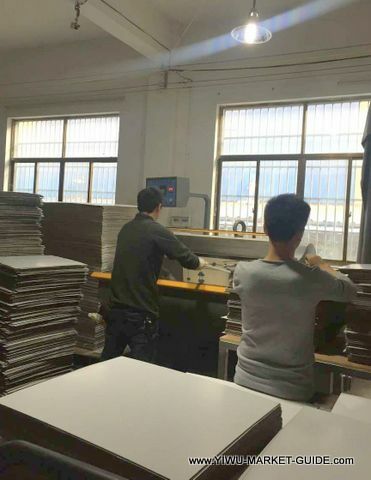 They design and produce in house. 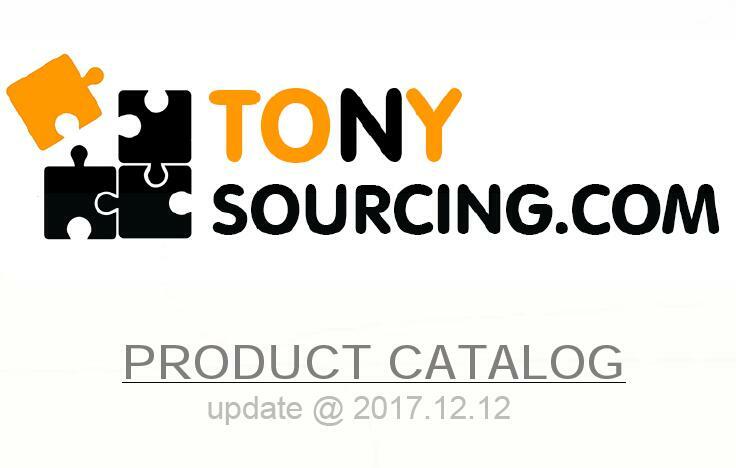 We have been working with them since 2014. Now they're a member of our group. 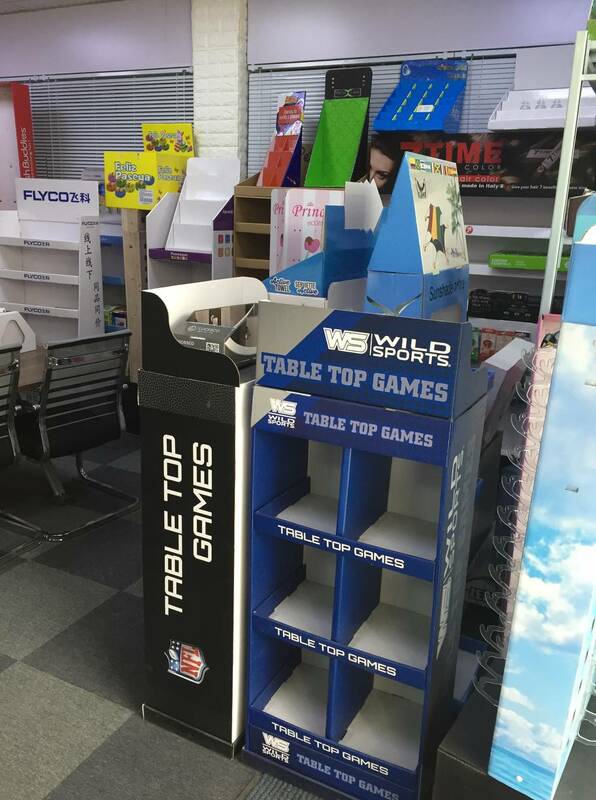 More POP Corrugated Paper Displays. 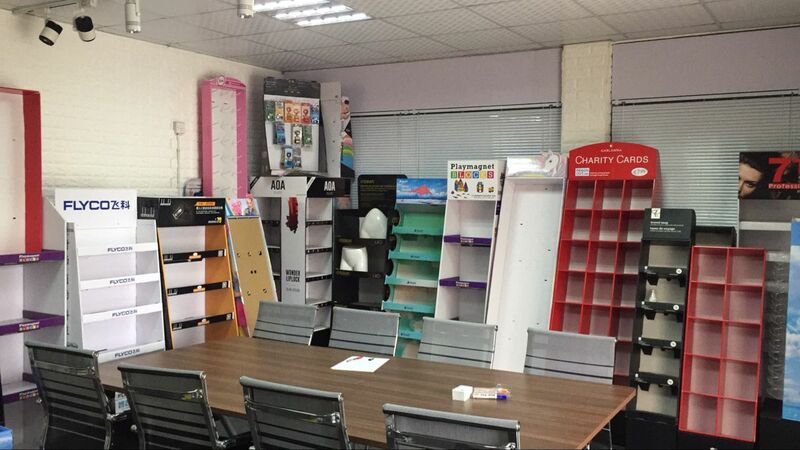 Mr. Huang is an expert for designing paper displays (in his office year 2016). 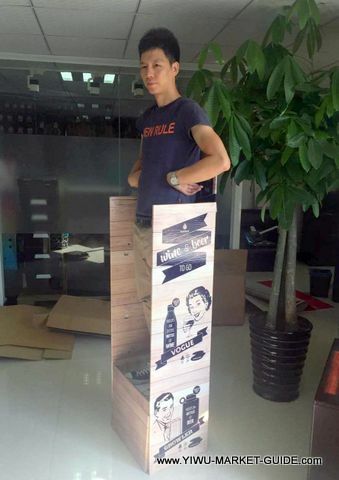 Mr. Huang is testing bearing capacity by standing on one of his unfinished display. 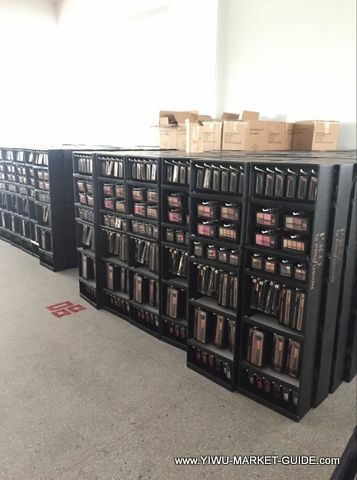 Many displays will be full filled with products before shipping out. 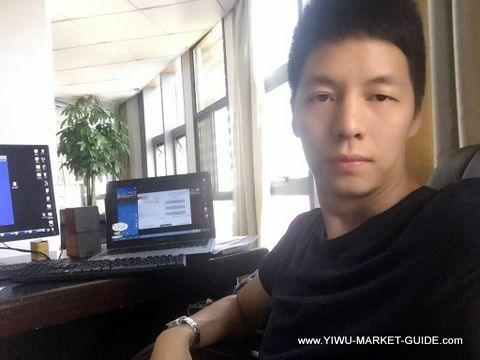 Mr. Huang is cutting POP paper displays in his factory which is 20 mins away from Yiwu Futian market. 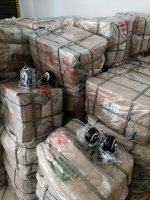 1.3m tall corrugated paper display filled with make up sets from Yiwu market, ready to be loaded into container. 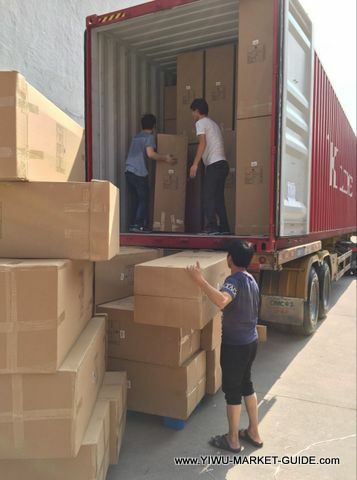 Corrugated paper display filled with products, fully packed, then loaded into container right in Mr. Huang's factory. 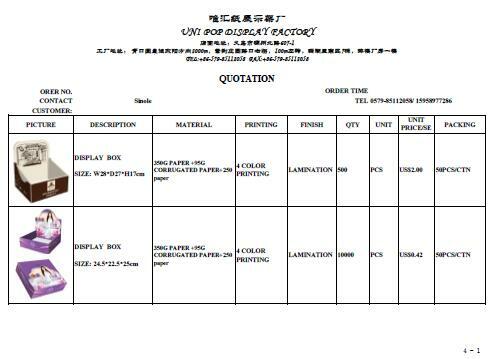 corrugated paper display stand price list. FREE download.